There is a special city in Northern Europe that holds a land of well-crafted food, artfully created cocktails, adventures on bikes and a culture that is, to put it simply, purely delightful. 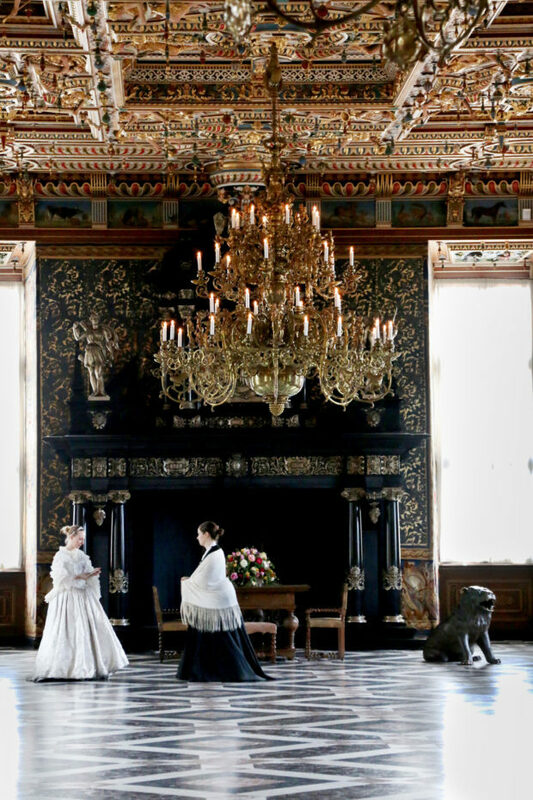 It’s Copenhagen and this Scandinavian city is full of surprises around every bend. I’ve honestly never found a place that I was more excited to explore while also feeling right at home. 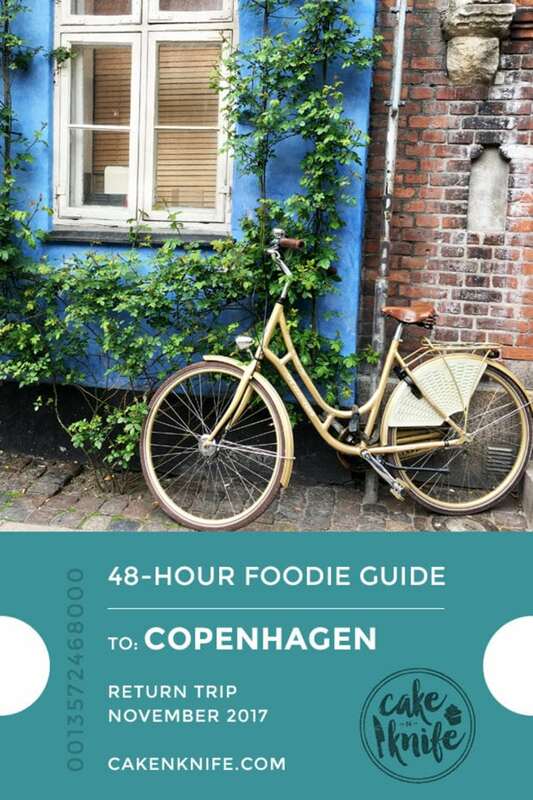 In my 48 Hour Foodie Guide to Copenhagen, you’ll find a smorgasbord (smorgasbord is Danish after all 😉 ) of food, drink, and places to see that you can easily fill two days with! 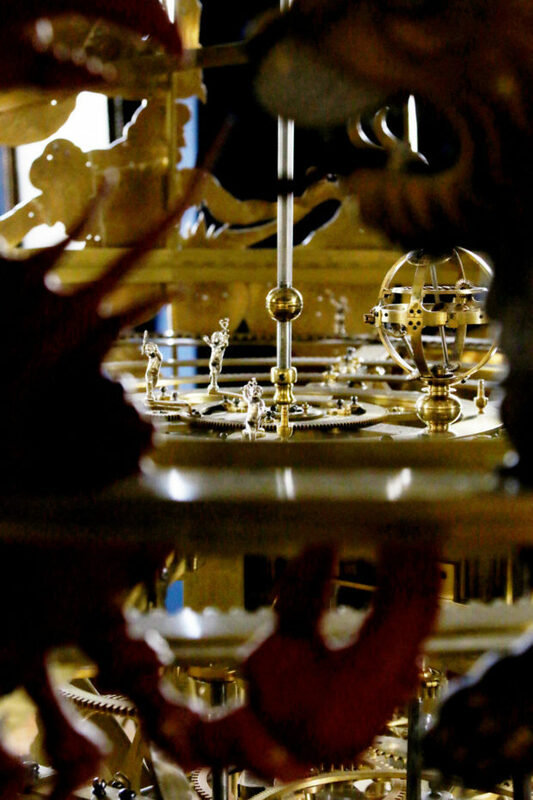 Even if you have more than 48 hours to experience this city, this round up is the best of the best to incorporate into your itinerary. Disclosure: This post is sponsored by Kødbyens Fiskebar and Royal Smushi Cafe! As always, all opinions are my own. Thanks for supporting the brands that support Cake ‘n Knife! As much as I loved visiting Bruges/Brussels, Prague, and Iceland (that photo dump is coming soon! ), there was one place that completely captured my heart, soul, and taste buds. That place is Copenhagen. Every city is unique around the world and I love visiting all of them, but there are those rare moments where I happen upon a place that I feel like I could actually LIVE. Copenhagen is 100% where I would move to in a heartbeat. No question, no doubt. 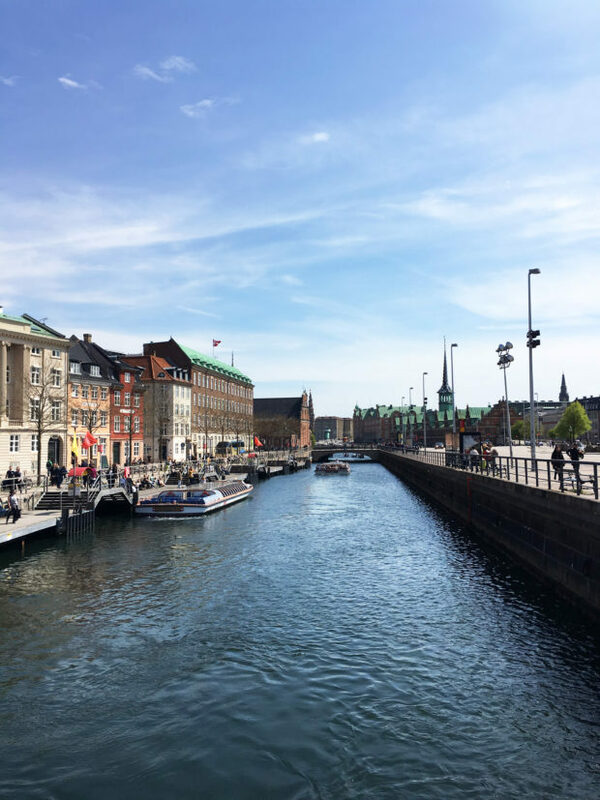 Copenhagen is the one place that I’ve visited (at least thus far) in my lifetime that I fell completely in love with… From the food to the drinks, the architecture to the location, the culture to the amazingly kind people; it was just one of those places that I could see myself embracing every aspect of the city and slipping right into daily life. I mean, I got on a bike for the first time in 12 YEARS and I felt completely at home the moment I stopped kinda swerving around. 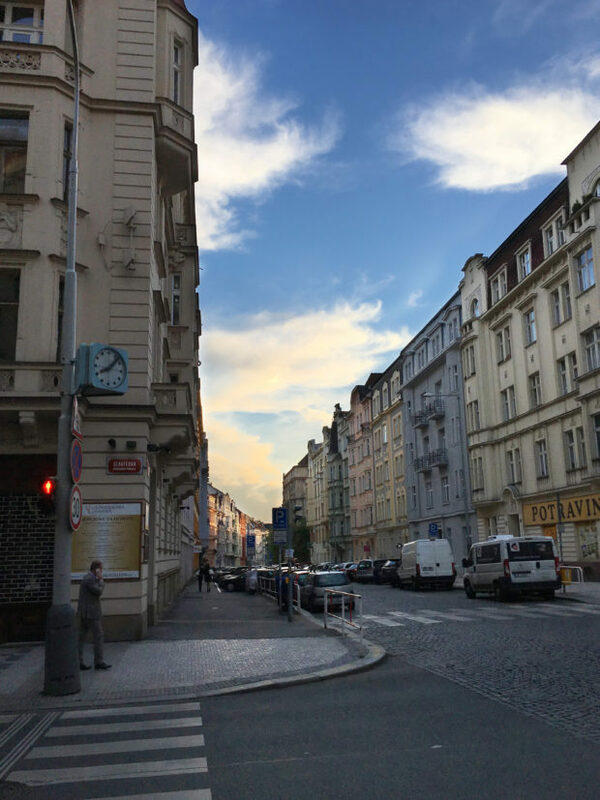 Everything felt like a welcome adventure and there was a part about the city that felt somewhat familiar even though it was a completely new place and culture to me. Perhaps I am just meant to live in a Scandinavian culture? It also could be my obsession with wanting to live close to any large body of water (the only thing Colorado is really lacking for me). 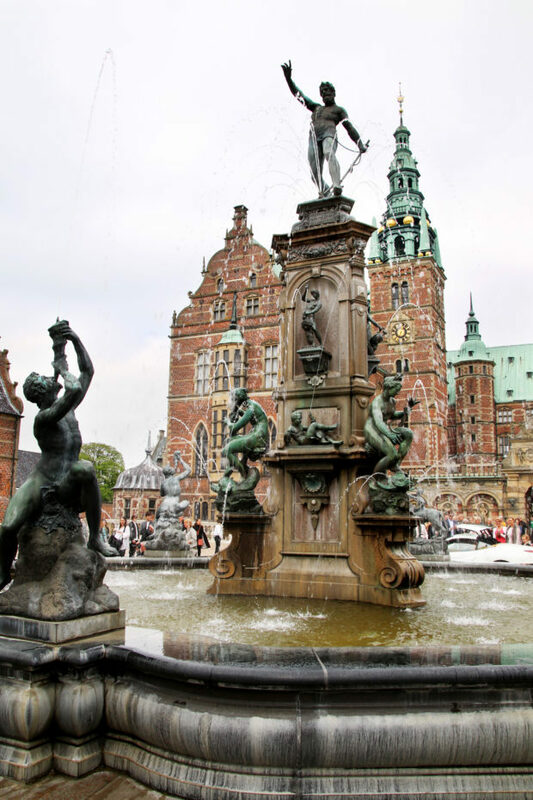 I would encourage urge you to visit Copenhagen at least once in your lifetime. From every windy alleyway to every bike path hugging the river or harbor waters, there is a life to the city that isn’t too overwhelming and bustling, but doesn’t leave anything to be desired. Not to mention brightly colored buildings, a zest for life and music in the air. 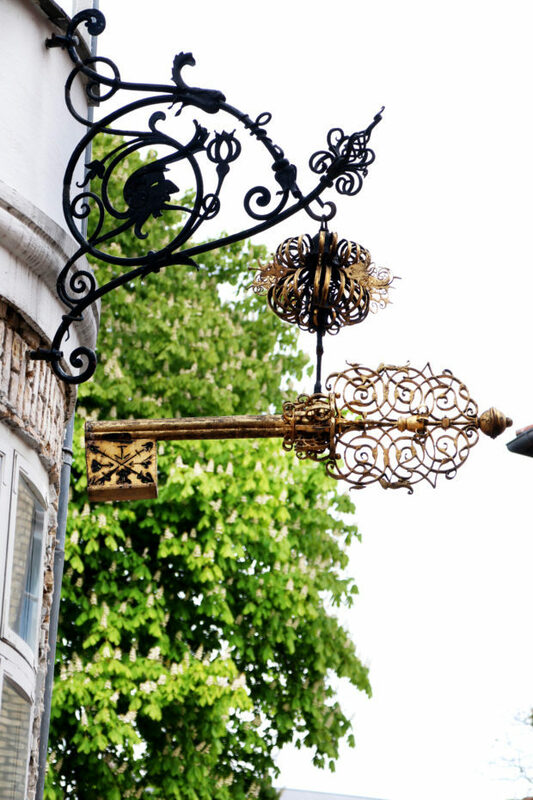 But enough about me going on and on about how much I love the city – let’s dive into the nitty gritty details, shall we? Michelin Bib Gourmet restaurants are always on my list when I visit a new city, but the punch of flavor and creativity packed into my meal at Kødbyens Fiskebar had me wondering how the heck this restaurant hadn’t been given a Michelin star yet. This was the best seafood meal I’ve ever eaten. Seriously. 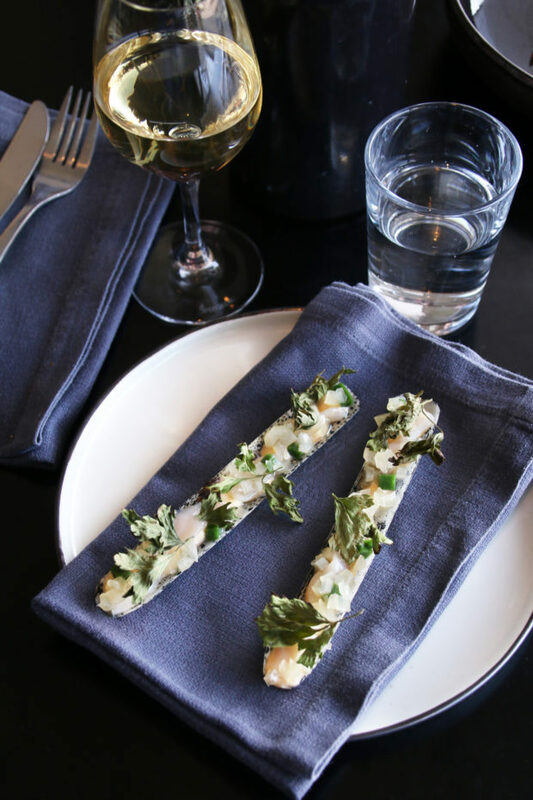 Set in a laid back spot in the Meatpacking District of Copenhagen (one of the COOLEST areas in the city, but more about that later in this post), the white tiled walls, locally sourced seafood focus and wildly inventive flavor combination make this a must to indulge in for lunch or dinner. The 4-year-old GIANT oysters that kicked off our meal were briny with a crisp bite of champagne vinegar that lingered in my mouth with a delightful tang. 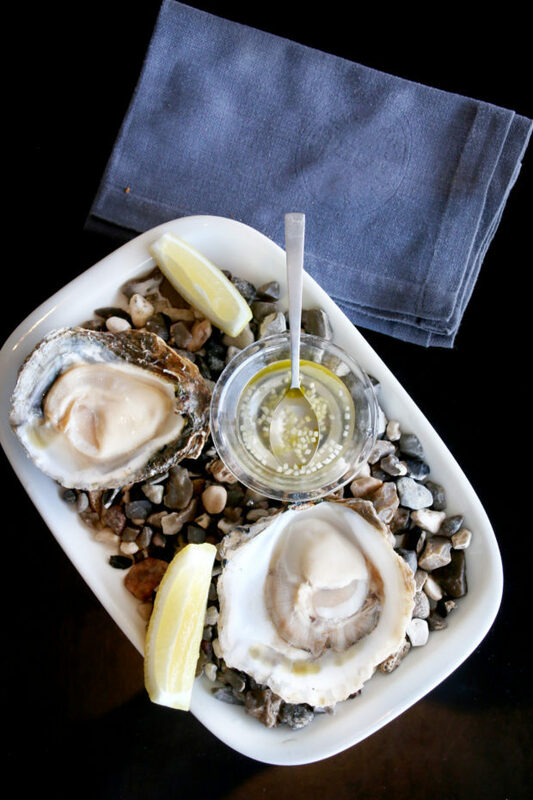 From an 80-year-old farm on the west coast of Denmark, I wouldn’t expect much less in a carefully nurtured, hand-picked oyster. The raw scallop dish melted in my mouth with a pop of bright, pickled mushrooms (um, who knew that was a thing? It’s BRILLIANT.) and deftly prepared white asparagus puree with seaweed made for a delightfully unique tart, tangy and roasted flavor. The Man even took the trip into the briny deliciousness with me for the first time and we both agreed that the raw razor clams playfully set in phyllo dough shells dotted with squid ink were a stroke of pure genius. 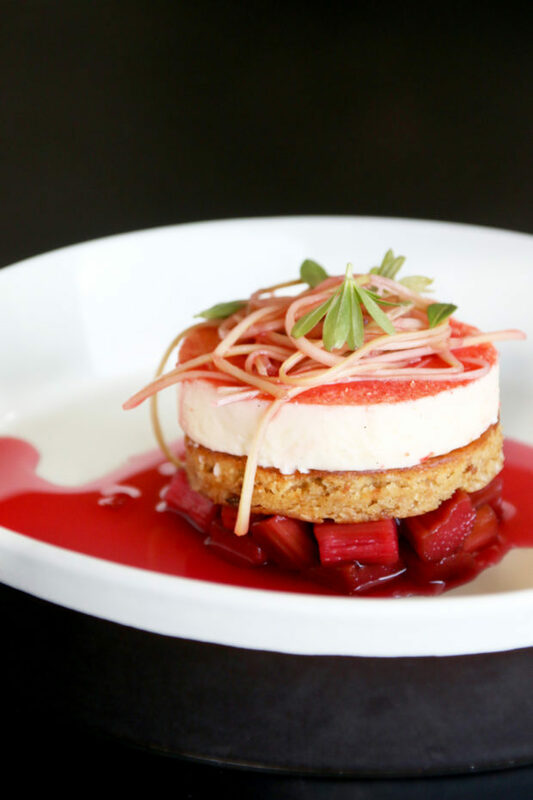 Just when I thought I couldn’t be anymore stuffed (or in a haze of happiness from incredible wine pairings), out comes this stunning almond cake with rhubarb four ways – fermented, raw, as a mousse and as a sauce. Each course was presented with such attention to detail and care, when we journeyed back to talk with the Chef, I was gushing about how amazing everything was. It’s no wonder everything was so incredible, because everything in this restaurant is sourced locally. A big part of the mission of the restaurant is to provide locally sourced food as well as supporting the local food scene. They work day to day with their produce to make sure their menu is always fresh, letting the daily market boost creativity among their chefs. For example, the strawberries in one of the desserts we were served that day were picked up at the make that day and incorporated into a new dish. This is what seasonal cooking is all about, isn’t it? 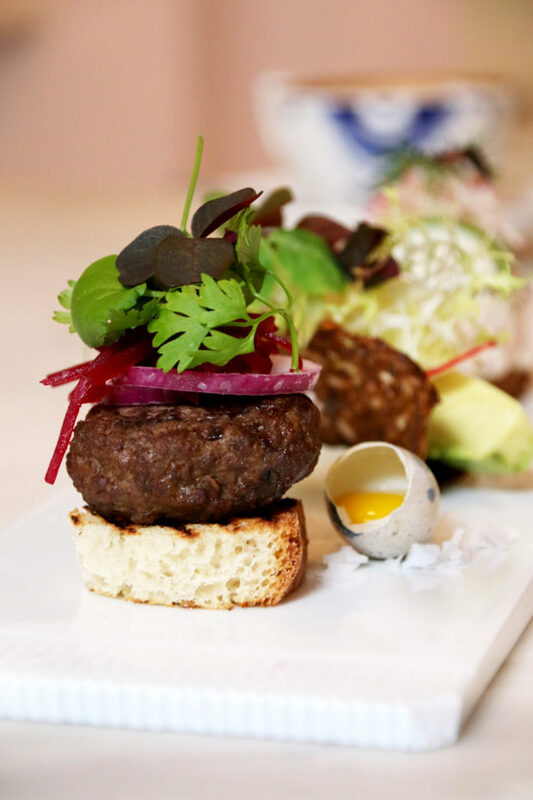 After being open for 10 years, the elegant yet playful Royal Smushi Cafe is the place to go for an innovative take on the Danish classic of smorgasbord. Smorgasbord goes back to the 16th century in Sweden and it’s essentially a wide spread of traditional hot and cold dishes. To break it down for you… Smorgasbord + Sushi = Smushi. 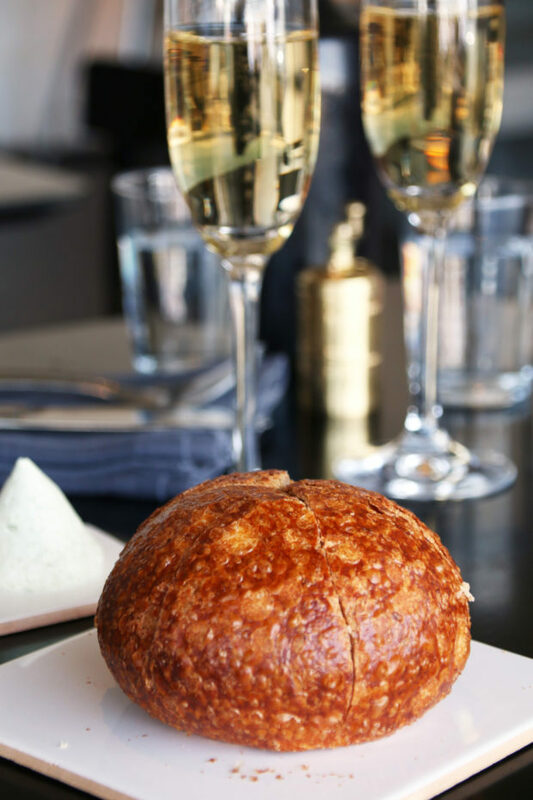 Smushi is a concept that essentially takes traditional flavors of smorgasbord, layering them up in small, elegant bites that your tastebuds are going to swoon over. 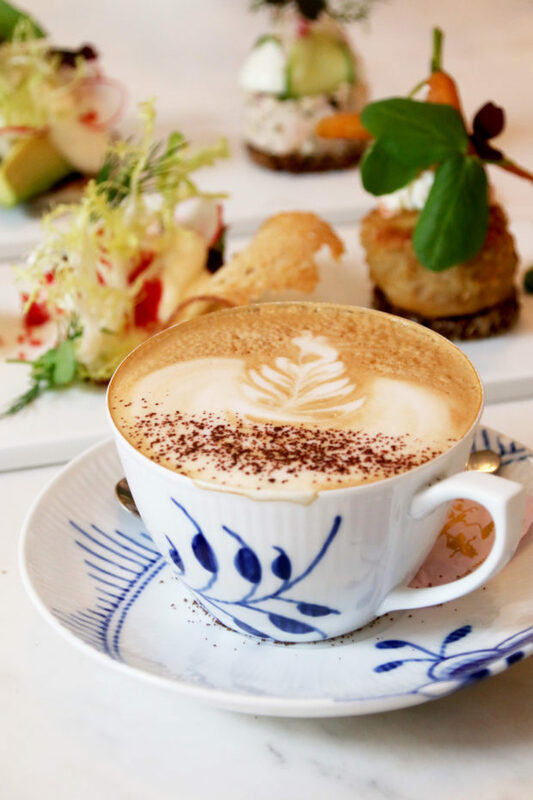 As you sit at tables set inside a pink-walled restaurant, with cappuccinos in elegant Royal Copenhagen china and crystal chandeliers twinkling above your head, you can see the homage to Danish history all around you in a new playful way. 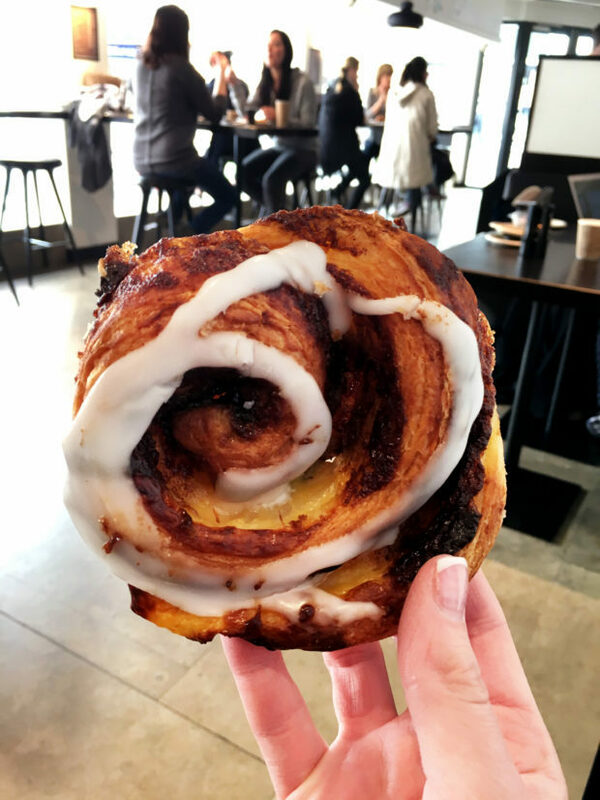 They constantly work with a variety of seasonal Danish ingredients and stay authentic to smorgasbord with a new playful attitude. 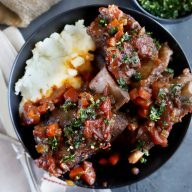 From meaty versions that are hearty and rich to vegetarian bites that are flavorful and fresh, it’s an adventure to experience authentic Danish flavors in this way! Honestly it doesn’t matter if you are coming in for smushi or coffee and cake, you will feel fancy AF the moment you sit down. 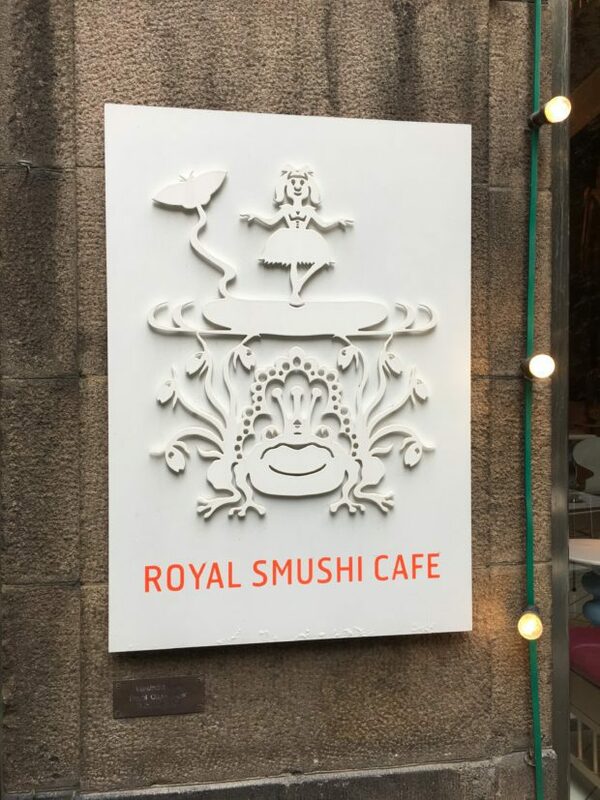 At a time when Danish food is considered a little more “old-fashioned”, Royal Smushi Cafe really hits the nail on the head with bringing smorgasbord into the modern restaurant world. Paper Island in Copenhagen Harbor right across from the Opera House is one of the newer neighborhoods in Copenhagen that’s been revamped and all sorts of new things have moved in to bring vibrancy to the area. If you want to experience the exhilaration of eating everything in sight, or wanting to, with delicious cocktails, a funky fresh vibe and a harbor view – this is the place to go. All I can say is COME HUNGRY because you are going to want to try more than one thing and you would be amiss not to do so! 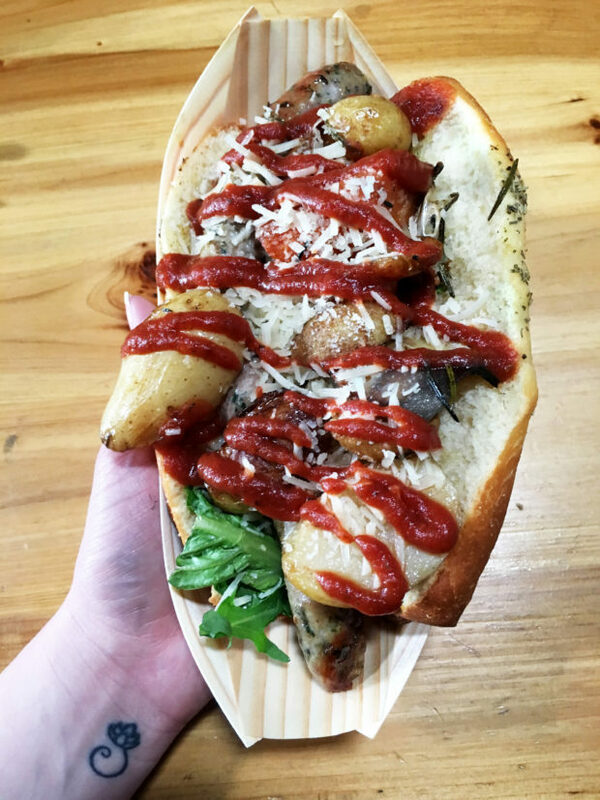 We tried a gourmet dog, korean sauced fried chicken, sweet potato fries, and a couple rounds of amazing cocktails. We were SO sad to have discovered this on our last full day as we biked all around town… it was really tragic because we would have LOVED to have come by this spot a couple of times. Don’t miss the giant disco cow as you walk in… for real. 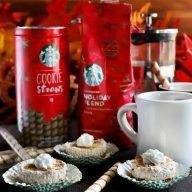 For a couple of cookies and the perfect cup of espresso or cappuccino in the funky area of Paper Island, make a quick stop at this spot. We loved sitting outside, watching throngs of people going back and forth on their bicycles towards the harbor. 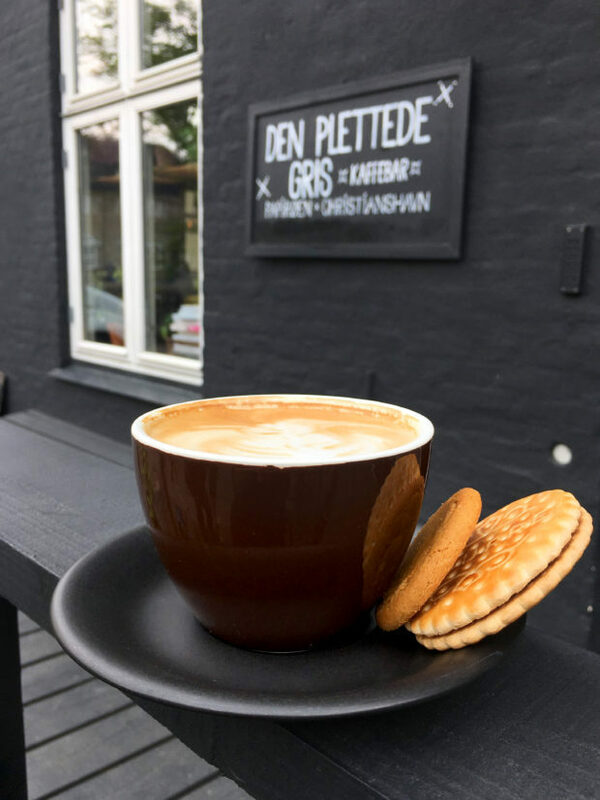 Located all over Copenhagen, these little bakeries are reliable coffee and pastry stops to partake in flaky cinnamon buns, tarts, cakes, Danish treats, and delicious banana muffins with chocolate frosting that I could eat every morning. If you are hitting the shopping street, Strøget, it’s a fantastic little stop for people-watching. This was a random stop on our first night in Copenhagen when we were exhausted from traveling and just wanted to EAT something. The burgers were stacked up and delicious, the fries were flavorful, and the beer was cold, making it the best place to go when you just need to stuff your face with meat (and a little taste of home). This stop isn’t technically in Copenhagen. 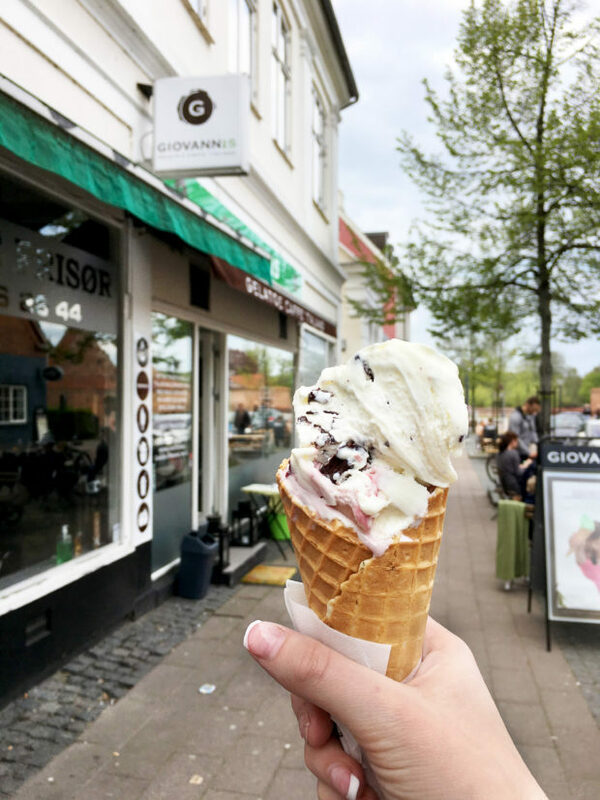 It’s right by Fredericksborg Castle (a stop I chat about later that you REALLY should add to your plans) and it’s a delicious treat to indulge in after spending hours in the castle and gardens nearby. This little cocktail bar that looks out onto the river has lots of little nooks and crannies to get lost in, from booths in the back to an outdoor intimate courtyard. It’s honestly one of the most stunning bars I’ve ever seen with a marble topped bar and touches of gold flare everywhere. Even the bathrooms have personality with comedy playing over the speakers, lol. 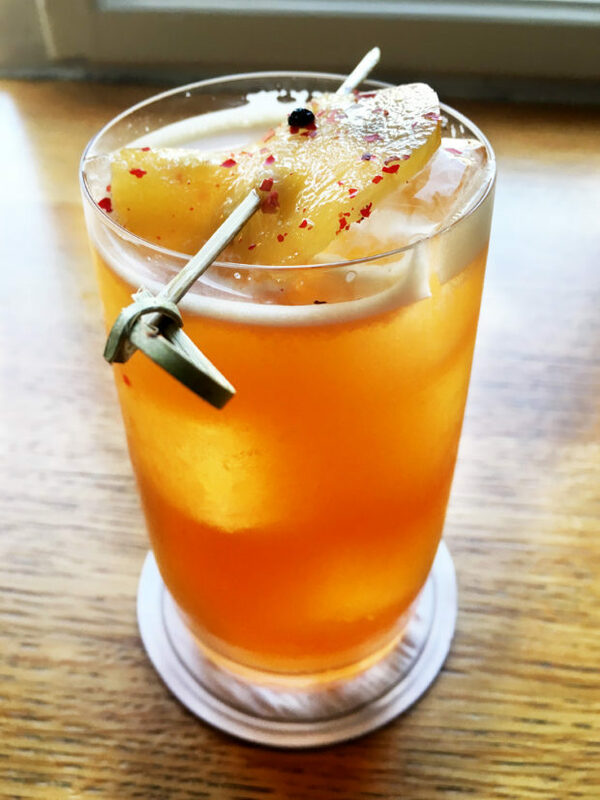 We loved trying all of the different cocktails from the seasonal summer delights to the classic combinations on their standing menu. It’s just the right spot to kick off a night out at! Like I said before, if you want to feel like a local and embrace all things food and booze, this is THE place to go. Love beer? Then this is the beer bar for you. 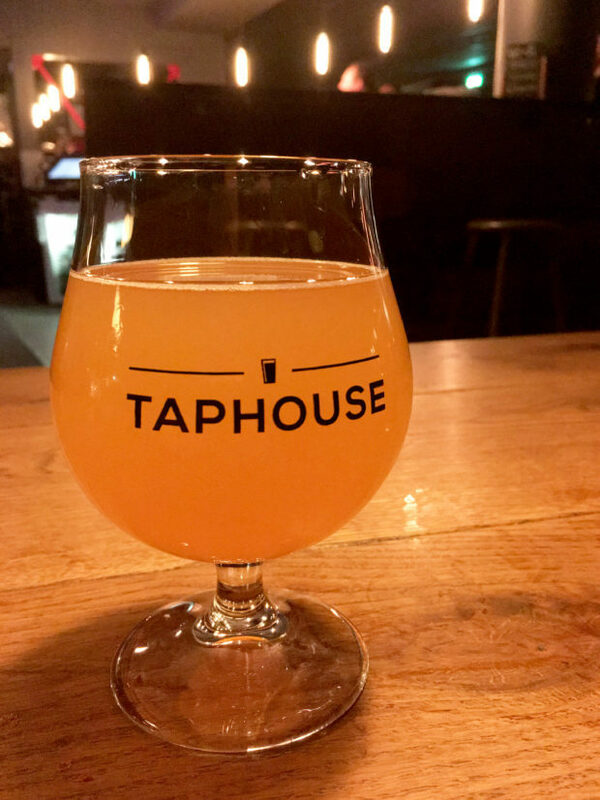 With a RIDICULOUS amount of beers, from classic standards to seasonal favorites from all around the globe, it’s just the right casual vibe to kick back with a couple of pints. 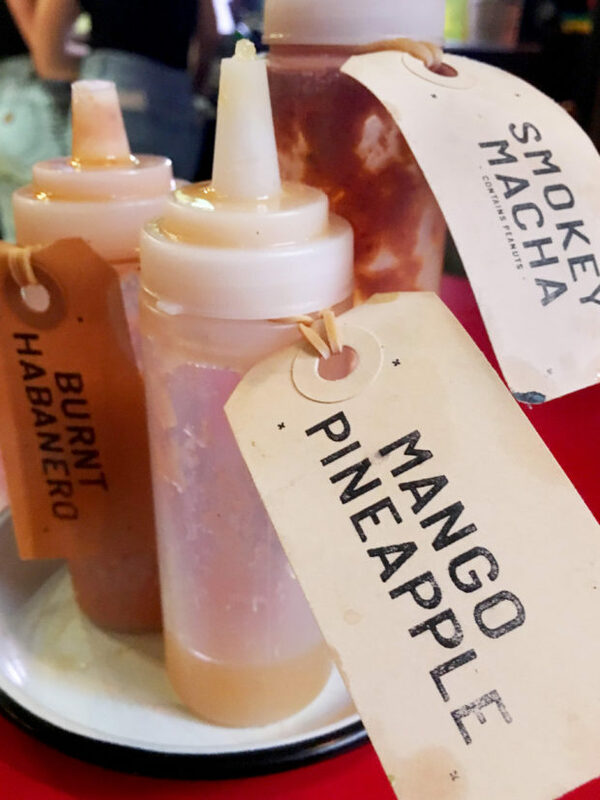 If you are craving a great deal on pitcher drinks, chips and guacamole, and some amazing hot sauces, this is the place to hit up – especially for their happy hour and late night deals. The burritos honestly weren’t my favorite, so I’d save your full meal for elsewhere. 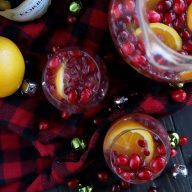 Recommended Sips: Any of their “jugs” (aka pitcher drinks), especially the Dark N’ Smokey. The Man and I REALLY loved the Meatpacking District for eating and drinking all the things. 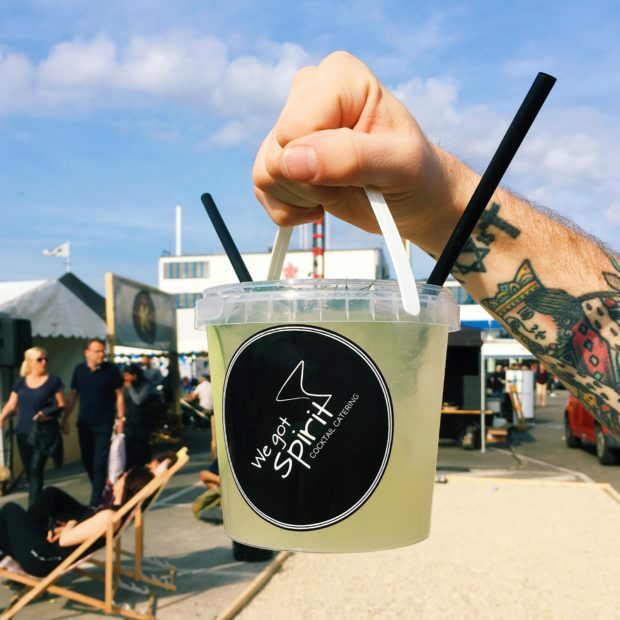 From the decadence of Kødbyens Fiskebar to the playful cocktail buckets from We Got Spirit, it’s just the right place for an afternoon out. 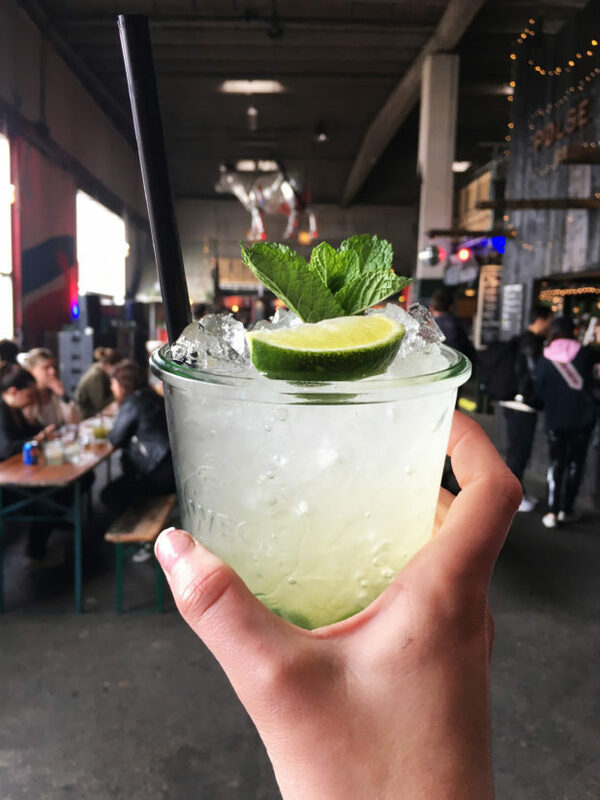 This place is full of good food, amazing cocktails, lawn games and more fun. On warmer days the place is packed with locals getting outside and trying food from various stalls and restaurants. It’s fun, funky and I REALLY wish Denver would replicate a place like this. It’s one of the hottest new areas in the city! 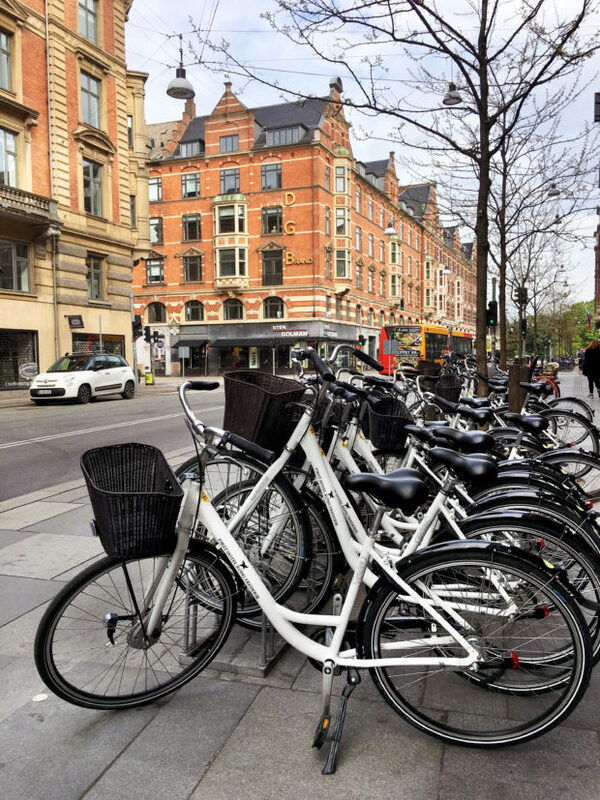 There’s a reason you see bikes everywhere in Copenhagen. The city was made for bicycle enthusiasts, and honestly it the easiest and fastest way to get around the city. It was a brilliant way for us to sail through Nyhavn to appreciate the beauty without getting stuck in any of the overpriced restaurants. We were able to make it from our hotel all the way out the The Little Mermaid statue in 12 minutes flat! It’s easy to navigate the city and I always felt safe because biking is a way of life there. You’ll never feel like you are going to get run over by a car and you’ll always have a place to park your bike! 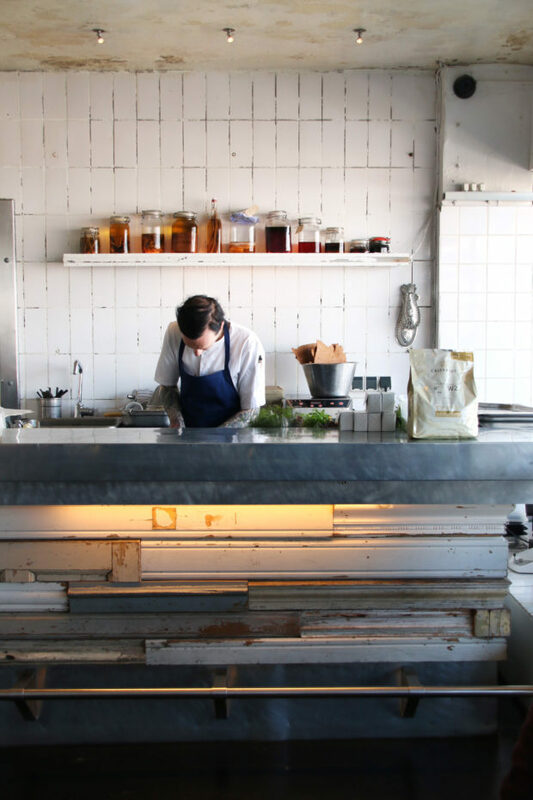 These are the areas to go if you want to get a sense of local life in Copenhagen. 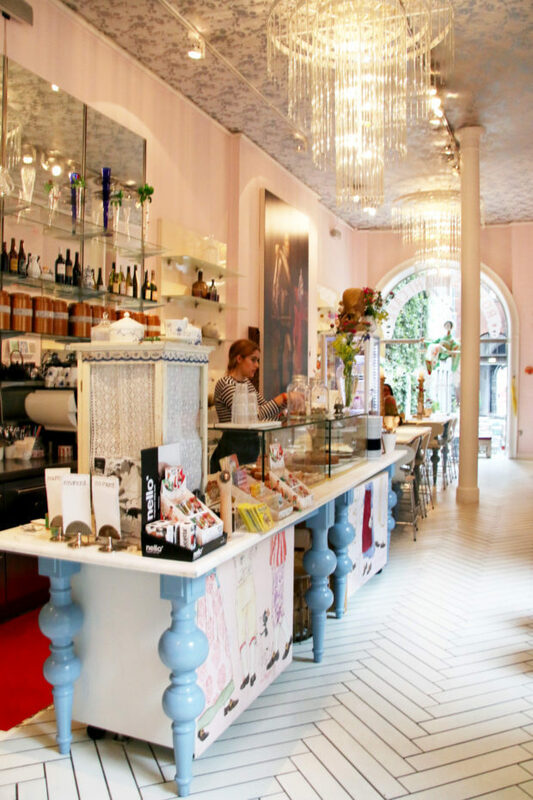 Both are great places to eat and drink, but they are also fun to explore and people watch. There is such a vibrance to both of these areas, I only wish we were able to spend more time in both! This is a limited exhibit, but I simply had to mention it. 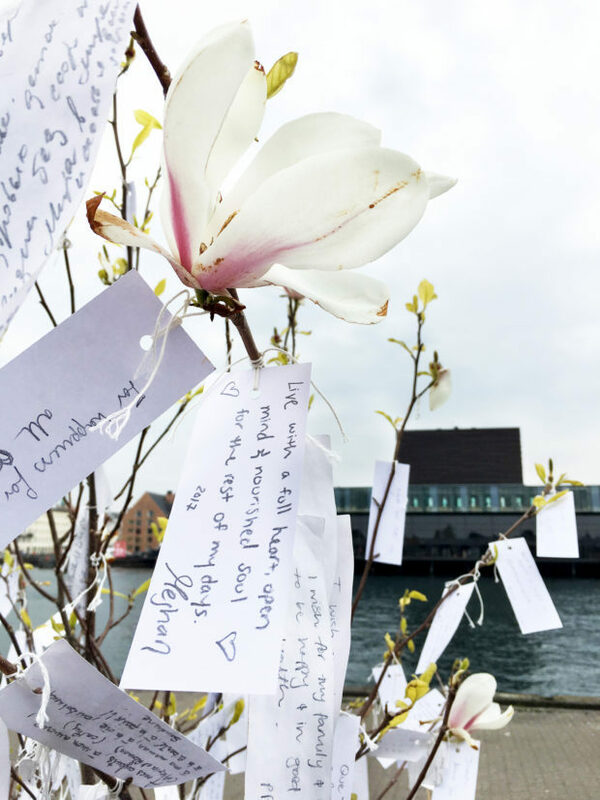 If you are heading to Copenhagen before the end of 2017, hit up this amazing exhibit on Paper Island as you make your way to Copenhagen Street Food. Make a wish and tie it to a tree. Spend a few moments seeing what the hopes and dreams of others are. It’s magical. This was my FAV tourist-y site to take in. 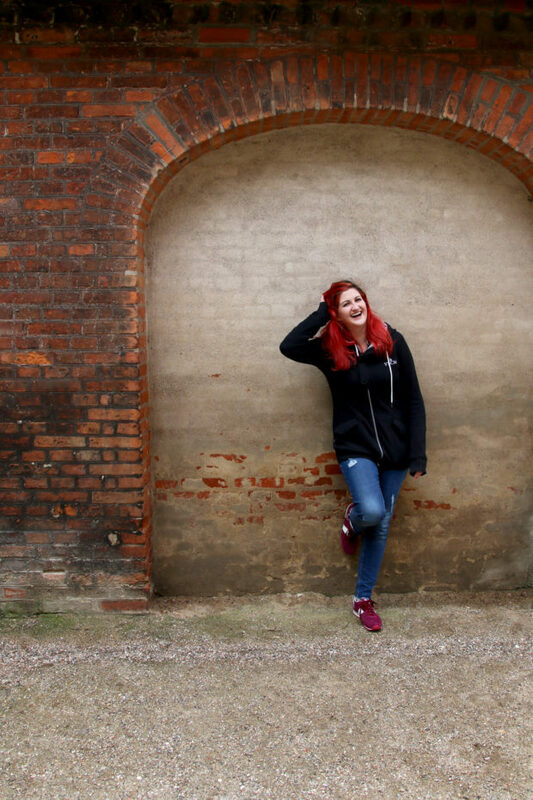 Wandering the hallways, enjoying all of the art and the stories – you just have to go. Fredericksborg is a 45 min train ride outside of Copenhagen, but it’s well worth it to see the castle and the quaint little town. My recommendation is to go first thing if you can. It’s so nice to wander the castle in peace and quiet. You can almost hear the music and footsteps of people wandering the castle in olden times. 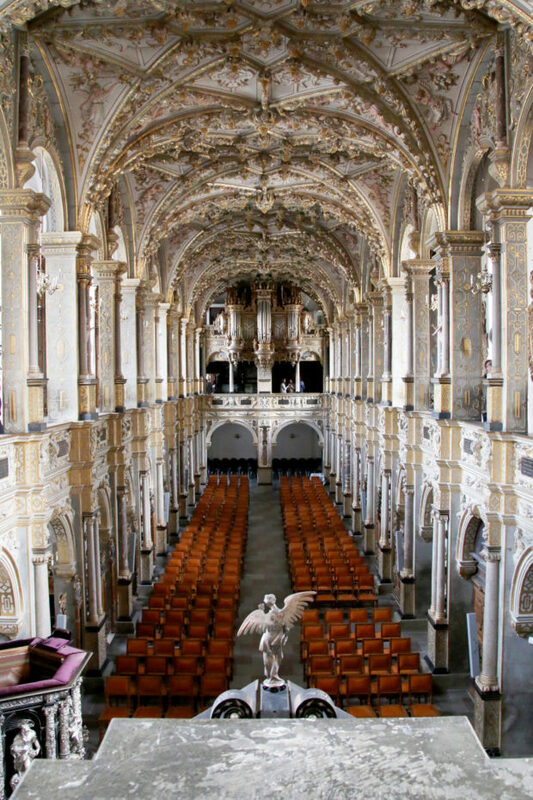 Get the audioguide at the front (super cheap) and enjoy the history! 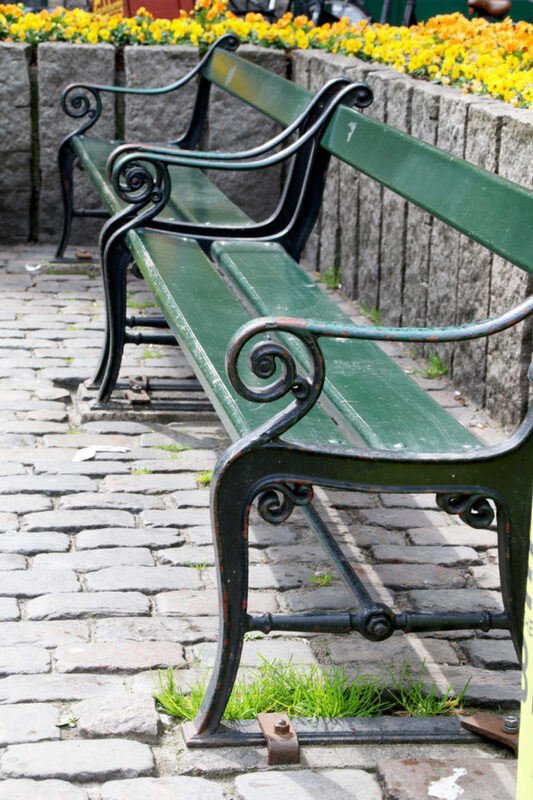 There’s a delightful history to the iron benches all over Copenhagen. Since 1887 they’ve had these classic iron benches all over the city (they are even in the airport now!). There are 2,500 benches located all over the city, so grab a beer and take a seat on one – soak up the sounds of the canal river or the bustle of the town squares. Any spot is a great choice! 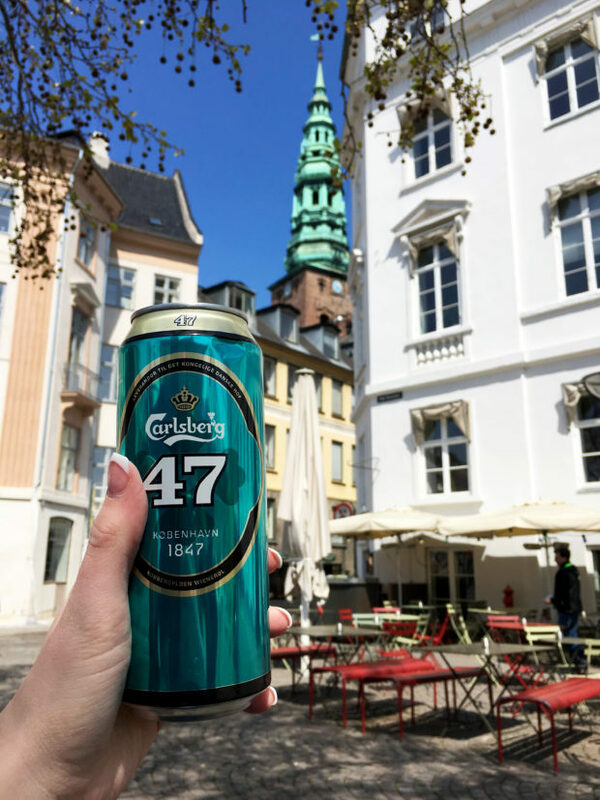 Speaking of drinking a beer outside, we found that while hitting a couple of bars is fantastic, going bar hopping in Copenhagen isn’t really a big thing. We were actually thankful for this as the Man and I are much more on the track of grabbing a couple cold beers and wandering the city, or grabbing a bench seat or spot by a fountain to enjoy a little R&R. 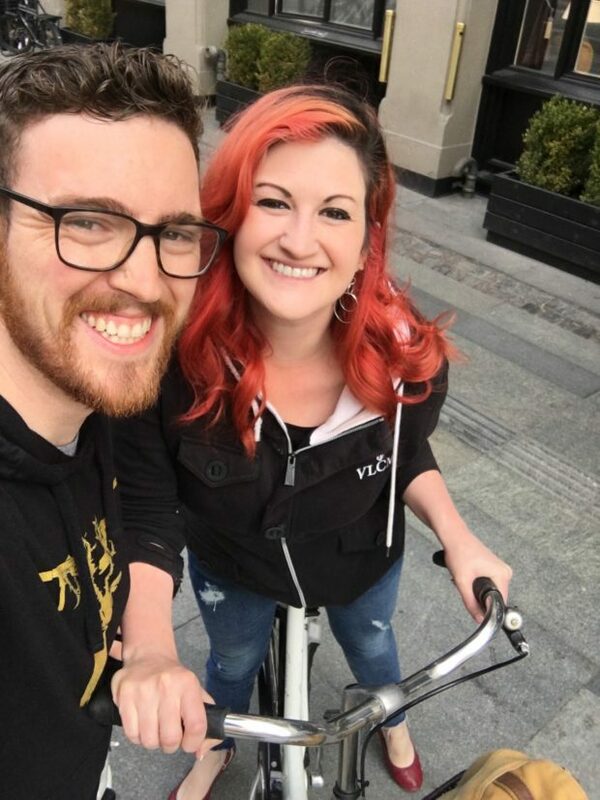 Got questions or your own recommendations for the next time I hit Copenhagen? Leave a comment below! MEG! 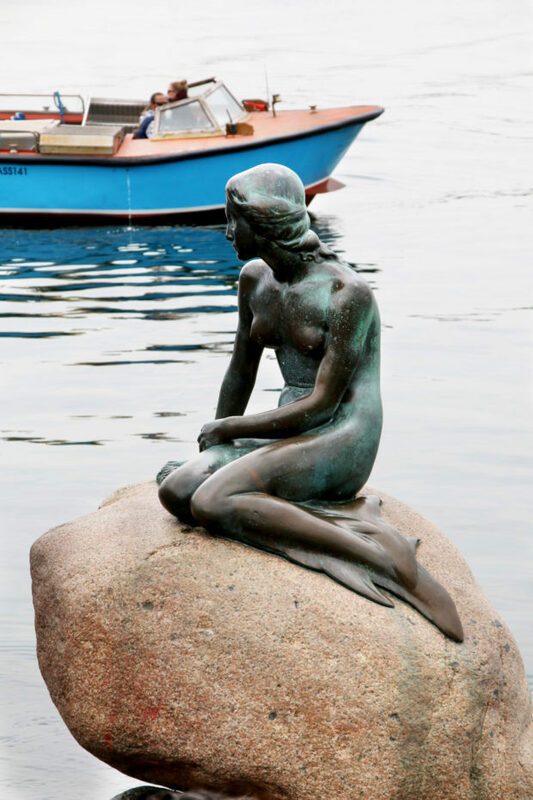 Copenhagen looks like an utter dream, and while we have no European vacation plans on the docket anytime soon, this is making my wanderlust sing. I want to try the Smushi Cafe. And basically everything else. What a wonderful vacay!